Find all the cars, all the drivers and all the official rallies of the 2015 FIA World Rally Championship in THE racing simulation standard. Feel the impact of the different road surfaces on how your vehicle handles thanks to a brand new physics engine that faithfully recreates the sensations of driving on gravel, snow, asphalt, dirt, ice and sand. 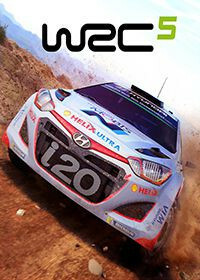 Experience the spirit of the 13 rallies held around the world! Drive both night and day in sunshine, rain and snow. Learn the basics with the new Rally School mode, perfect your skills in Career mode, customise settings, compete against other drivers online and become a true rally champion!